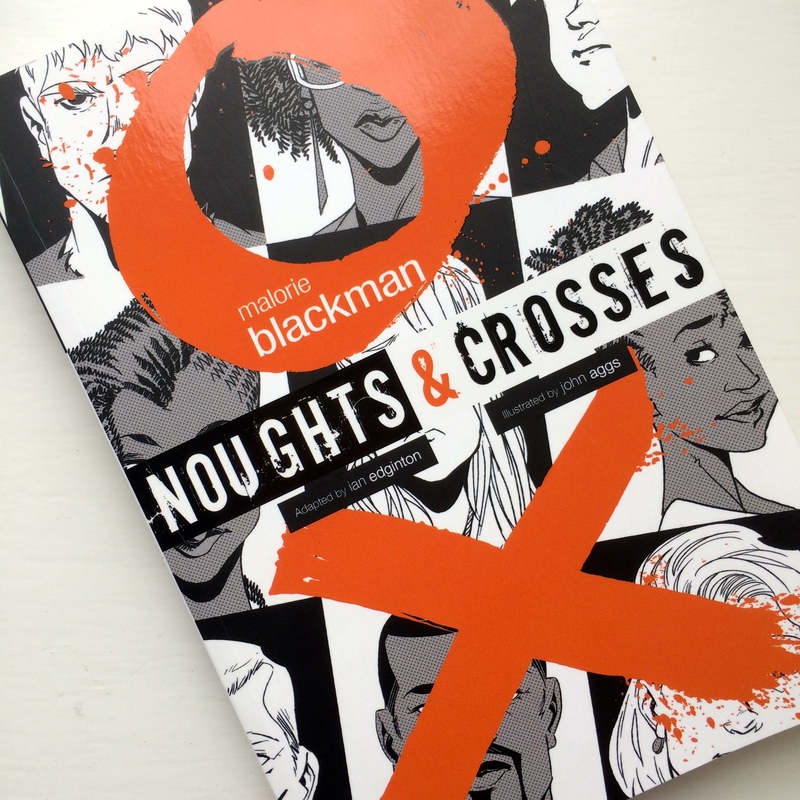 At 12:20am I finished reading my 45th book of the year and the 2015 Reading Challenge #61 A book with forbidden love: “Noughts and Crosses Graphic Novel” by Malorie Blackman. As one of my favourite books of all time – it places firmly in my top 3 – I had high hopes for this long awaited adaptation about politics and forbidden love. I wasn’t disappointed. “‘Noughts and Crosses’ by Malorie Blackman follows the unlikely friendship of Callum and Sephy – a nought and a cross – in a world where noughts and crosses do not mix, let alone get along. Together they face a series of challenges, but they always come through them stronger – that is, until Callum’s family becomes involved in a terrorist organisation, with a plan to bomb a shopping centre, and Callum and Sephy inadvertently become caught up in the madness. Can their relationship survive against all the odds? I loved the simplicity of the ending, as it was incredibly hard hitting. Whilst I didn’t enjoy the graphic novel as much as the original novel, it was really interesting to see how one of my favourite books of all time translated to a different format. I also was unable to sit down and devour the whole book, perhaps because the subject matter was so heavy. I hope it attracts a new audience to the beautiful series by Malorie Blackman, as it’s themes are so important.